Research with real-world energy data from Centennial Campus. Sometimes you have to spend money to save money ‒ particularly when it comes to reducing energy costs. Invest in a few strategic technologies to improve efficiency and you reap cost reductions for years to come. But how do you determine the investments with the best and fastest payback? That’s a question NC State researchers are collaborating with the Facilities Division to answer using actual energy data from the university’s Centennial Campus. NC State Energy Management provided associate professor Ning Lu with three years of electrical meter data from Centennial Campus buildings. Her team of graduate students used that data to create an electricity consumption pattern for the campus. With this real-world data, Lu’s students were able to accurately document impacts of weather and other variables while also uncovering opportunities to reduce electricity use when costs are highest. Electricity costs are based not only on how much electricity is used but also when it’s used. When demand on the electrical grid is highest ‒ such as midday during the summer and mornings and evenings during the winter ‒ it costs more for energy producers like Duke Energy Progress to create and distribute electricity. This results in higher peak demand charges for customers. If customers reduce energy use during peak times, energy bills decline. Another way to reduce cost is by using a battery to store or pre-consume energy during off-peak times. This stored energy can also be used during peak times when energy costs are highest. Kedong Zhu, a doctoral exchange student working with Lu, used Centennial Campus data to model energy cost reductions if campus had a 1.2 megawatt solar array and 400 kilowatt-hour battery. The model’s prediction ‒ a 5 percent reduction in electricity costs over the summer months ‒ is information that helps campus energy managers evaluate the costs and benefits of an investment in solar technology. At the Centennial Campus Central Utility Plant, 6.5 megawatts of electrical generation with cogeneration technology will be soon added, as well as a 20,000 kilowatt-hour thermal energy storage tank. Both projects are infrastructure investments that will reduce energy costs. 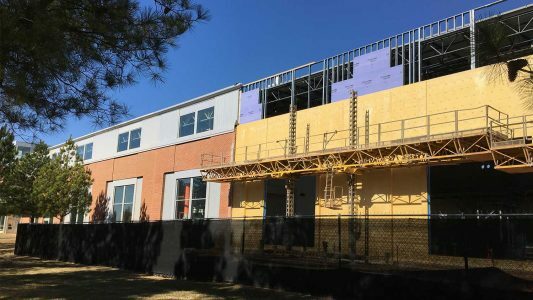 Centennial Campus doesn’t have large-scale solar or an electrical battery, but Zhu’s results show promise for two cost-saving projects coming soon to campus. New cogeneration technology will reduce campus’ overall electrical consumption and a thermal energy storage tank will provide on-campus energy storage. Together, the projects are expected to save about $2 million annually in avoided energy costs. With buildings accounting for nearly 40 percent of all energy use in the United States and NC State’s annual electricity costs topping $16 million, smart energy investment can pay long-term dividends on campus and beyond. That’s why Lu’s research matters and why both she and Hall see more opportunity for future collaboration. 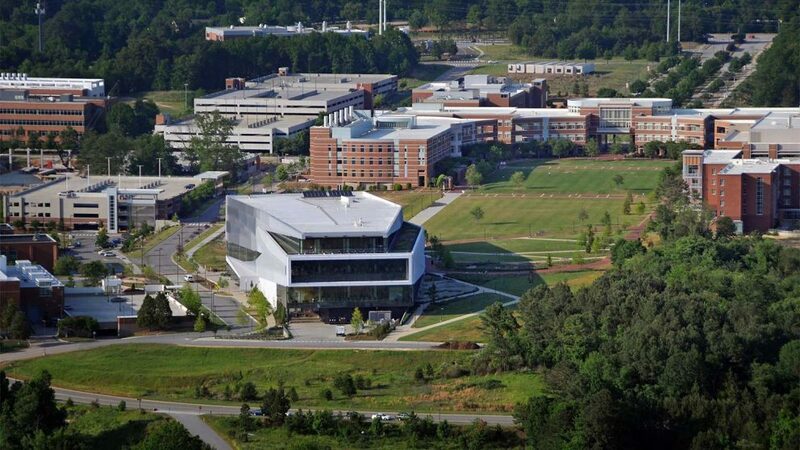 When the university’s operations and research areas converge, NC State benefits. Campus improves, research moves forward and students gain real-world experience. Published in Energy, News, Newswire, Research.